Overkill Edition includes the fully updated and award winning Action RPG Victor Vran, the expansive Fractured Worlds & the legendary Motorhead: Through The Ages. Look your very best and reinforce your play style with a monumental arsenal of powerful weapons, game-changing outfits, wicked demon powers and fate-binding destiny cards. Redefine how you play at any moment, even in the heat of battle. Modify your demon slaying loadout as you dodge deadly attacks, leap from towering locations and take on hordes of hideous beasts and cunning boss monsters. Fedora or no fedora, you decide! 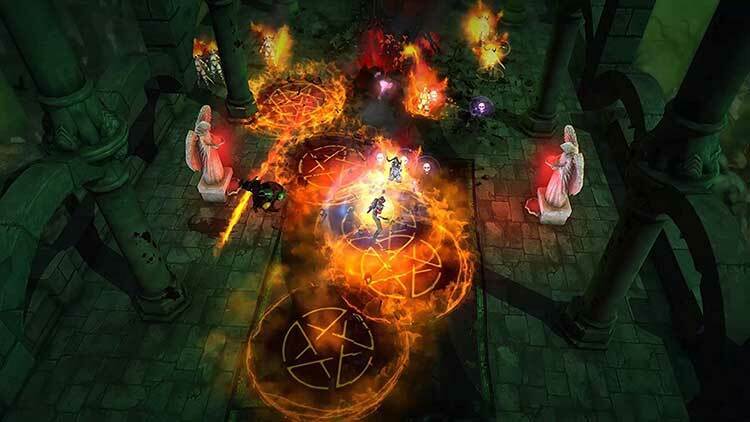 Slaying demons doesn't have to be a lonely affair - Form a pack and find even greater strength in numbers, to explore the story of the dark world together. Overall, Victor Vran: Overkill Edition is a slept-on gem that needs some attention. 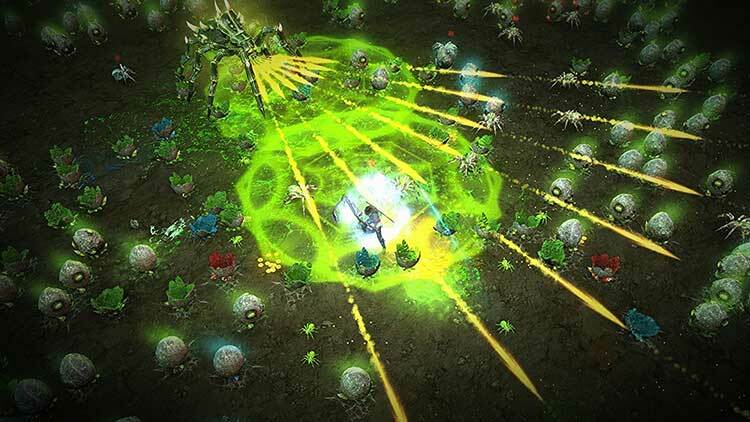 If you’re not a fan of the top-down ARPG, okay, maybe this isn’t for you. However, if you do love this style or are even interested, this is definitely worth your time. The controls are a bit hard to get used to and the game can be a bit of a grind, but Vran is a game that you can easily lose an absolute ton of hours to if you’re not careful. If you’re a console player and just getting into ARPG’s, ‘Victor Vran’ is an excellent place to start. As a veteran player of the genre I would recommend this game to anyone who loves ARPG’s. 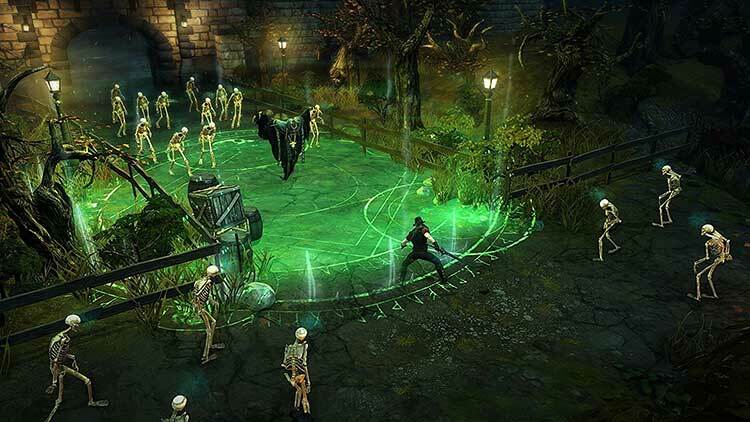 With a great balance of character development, smooth combat, nice story delivery and sweet loot, ‘Victor Vran: Overkill Edition’ is an excellent ARPG title worth having in your games library. The high-energy fun of Victor Vran means it really is a romp, if one that occasionally stutters. While the slightly repetitive nature grates, you can easily see a few hours dissolving into Victor Vran before your very eyes. Like a vampire in sunlight. Victor Vran: Overkill Edition doesn't revolutionise the action RPG genre, but it certainly has helped it evolve. The scrapping of class systems and skill trees gives you more control over the character that you want to make, while the hordes of collectable loot will keep you chopping and changing your loadout for a long time. While its story is a little stale and there is still something very conventional about how Haemimont Games' latest is set out, the variety of gameplay and four-player co-op will keep you coming back to Zagoravia for hours. For those looking for similar thrills, it is a valid alternative, with a price point suitable for the content it offers. The progression system whereby you're defined by your weapons and gear won't be for everyone, the design isn't always good, and some players may feel it's lacking in terms of customisation options, but at the end of the day, if you're looking for an action RPG to play on console, it's worth taking a look. 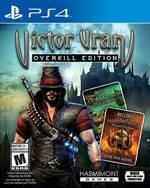 Victor Vran: Overkill Edition is not much of an RPG. 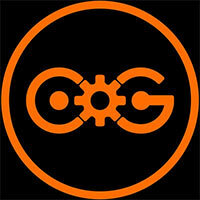 It is much closer to being a loud arcade action game that is best played with buddies online. 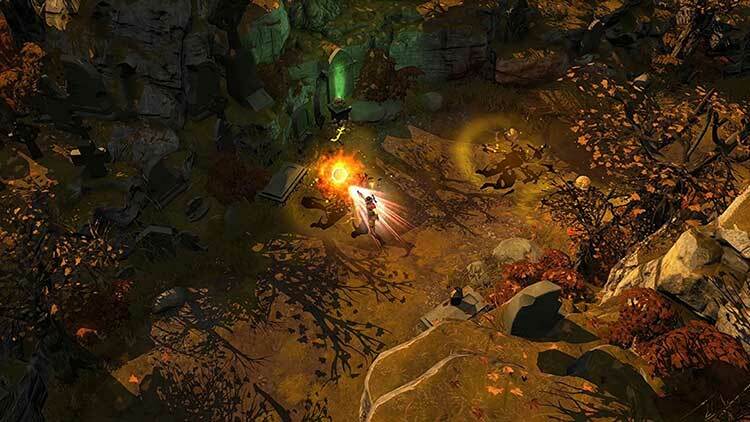 As a successor to Diablo, it doesn't really work, but it is more than worthy to succeed Gauntlet Legends. The story in the core game is really inconsequential and generally cheaply presented, with heavily filtered stills, which is disappointing since the in-game character models look good enough. The action gets tedious after a while, and Victor will spend a lot of the game retracing his steps looking for missed loot or items. Victor Vran is only enjoyable in short bursts, and excessive play time will lead to zombification or slumber. 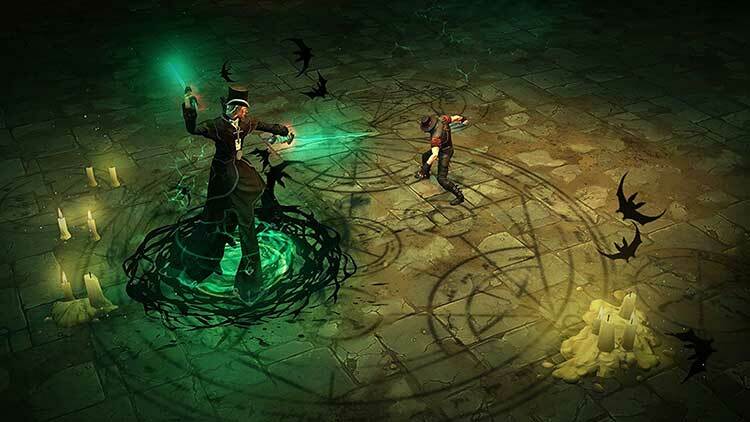 One of the most polished dungeon crawlers in years, Victor Vran is an easy recommendation to anyone with even the slightest fondness for the genre. Un juego correcto, cuya mayor baza es su sencillez apta para todos los públicos. No satisfará a los jugadores más exigentes, pero si lo que buscáis es un juego estilo Diablo que divierta sin complicaciones, Victor Vran: Overkill Edition es vuestro juego. Poco ha cambiado en Victor Vran pero las dos nuevas campañas son capaces de añadir un puñado de horas de juego al título. Además, su multijugador, ya presente en el juego básico, lo convierte en una interesante adquisición para todos aquellos con amigos o familiares asiduos. So findet sich in der technisch sehr sauberen Overkill Edition für PS4 und One nicht nur die Hauptkampagne, sondern man bekommt auch die zwei umfangreichen Add-Ons, die zeitgleich separat auf PC veröffentlicht werden. Hier fällt vor allem die Motörhead-Kampagne Through the Ages auf, die mit Musik der britischen Metal-Legenden, einem Gastauftritt von Troma-Studiochef Lloyd Kaufman, einem ungewöhnlich düsteren Design sowie einem kurzen Cameo von Lemmy Kilmister überrascht. 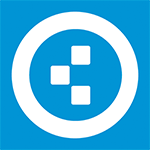 Il pacchetto è corposo e proposto ad un prezzo adeguato e il titolo si lascia giocare tanto in single player, complici le ore aggiuntive garantite dai due DLC, quanto, se non soprattutto, in modalità cooperativa con un amico, quando il caos e e le battutacce regnano sovrani. Se vi piace il genere, insomma, l'acquisto è consigliato senza troppe remore.